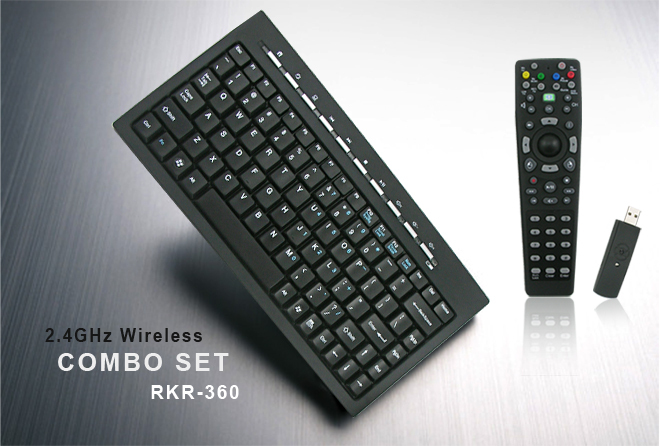 RKR-360 is a nice combo set of mini keyboard with remote control, it comboing with Mini keyboard RK-360 and a MCE Remote controller RM-518 together, mini keyboard for easy handheld use, and the remote control which buit-in Optical Trackball & mouse buttons for convenient use. 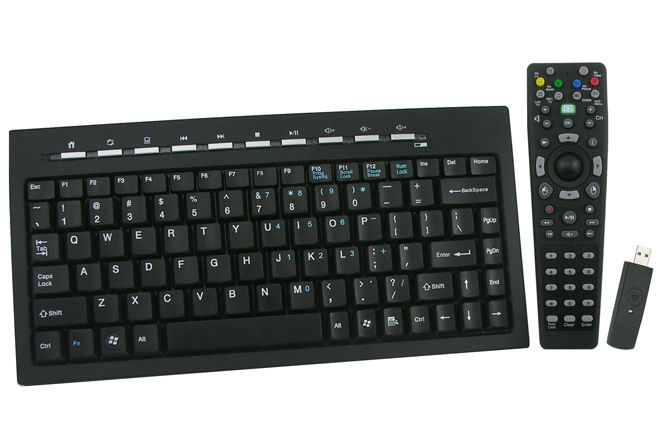 There is no cable connected toe the keyboard and remote, 10-30 meters effective working range and 360 degree navigation for your convenience use. 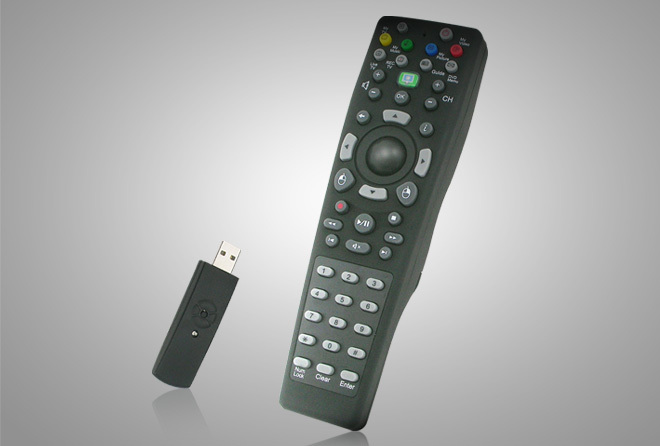 Therefore, you can turn off the TV probram that is broadcasting in the living room from the kitchen; you can sit in the balcony but choose the music that is broadcasting in the room; Switching the programs or surfing the Internet and E-mail, all of them, just use a small wireless remote control. 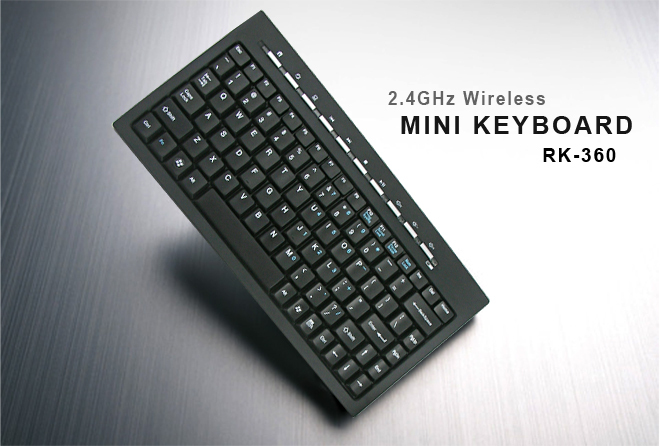 Integrated with the wireless keyboard, going on ton the on-line game or work happily will be more convenient. 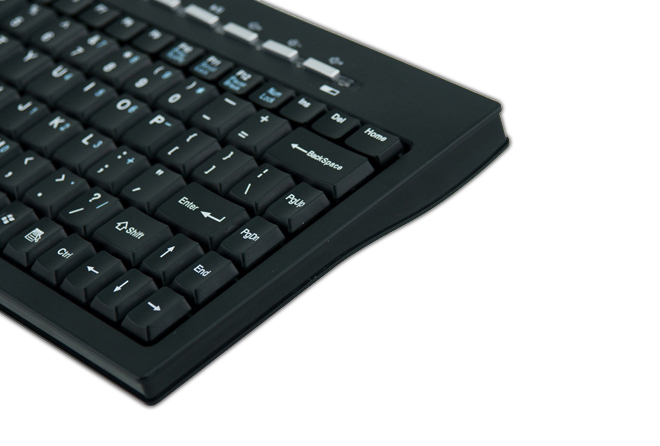 10 Million key switch life. Bounce Time: less than 10m sec. 10 meters effective working, farthest amount to 30 meters.